Whoa! Wish I wore some socks to bed last night, woke up with cold feet sometime around 4am and by then it was too cold to contemplate getting out of bed to find some. I don’t think it actually got that cold really, just me reacting to temperatures I’m not used to – in fact, it only got down to 10’C this morning at around 3am but compare that to the temperatures I experience in the north of the state while I’m away in the truck and you’ll start to understand what I mean. 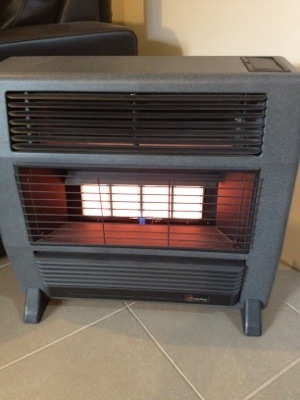 So, gas heater on for the first time this winter and a cup of coffee and I think I’m starting to get some life back into my body this morning. I missed out on the storms of the last few days and after looking around my place last night when I got home from the Great Sandy Desert I am wondering what all the fuss was about! My fences are still standing, the roof is where the builders put it, the neighbours tree looks the same as it always has and my chest freezer in the garage isn’t full of rotting food. The rotary power point timer for my fish tank hasn’t lost any time at all so it looks like the power didn’t go out at all or if it did it was only briefly. What was all the fuss about? 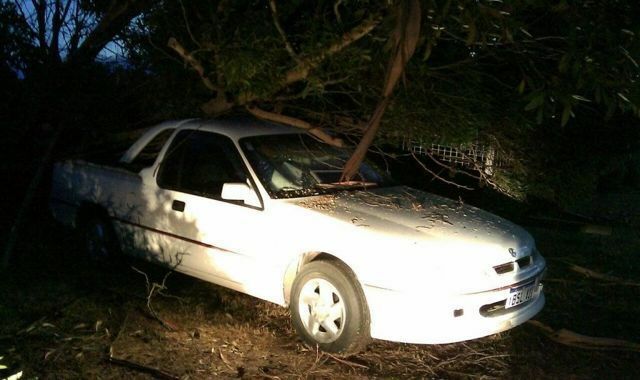 I definitely came off better this year than I did in past storms – like the time a tree fell on my ute at work while I was away in the truck (not the sort of phone call you really want). Not much damage but, hey, she’s my ute.